Indianapolis, IN (September 17, 2018) — After you’ve traveled over the river and through the woods to Grandma’s house, break open the boxes from Continuum Games for a jolly holiday. With a motto of “connecting generations thru play,” it’s easy to see how childhood memories are made when playing any of their old-timey card, dice and craft games with loved ones. Continuum Games boasts a catalog of over 100 game titles, guaranteeing the perfect present. The one-stop toyshop, ContinuumGames.com, lists its inventory by age and by category. Need to please a 12-year-old? Check. Strategy games? Check. Dice? Puzzles? Party Games? Yes, it’s all awaiting discovery! Best of all, Continuum Games runs on laughs and smiles, never Wi-Fi, chargers or batteries! When the family gathers for the holidays, turn off the screens and pull up the chairs for a card game with a twist. Any golfers in the house? 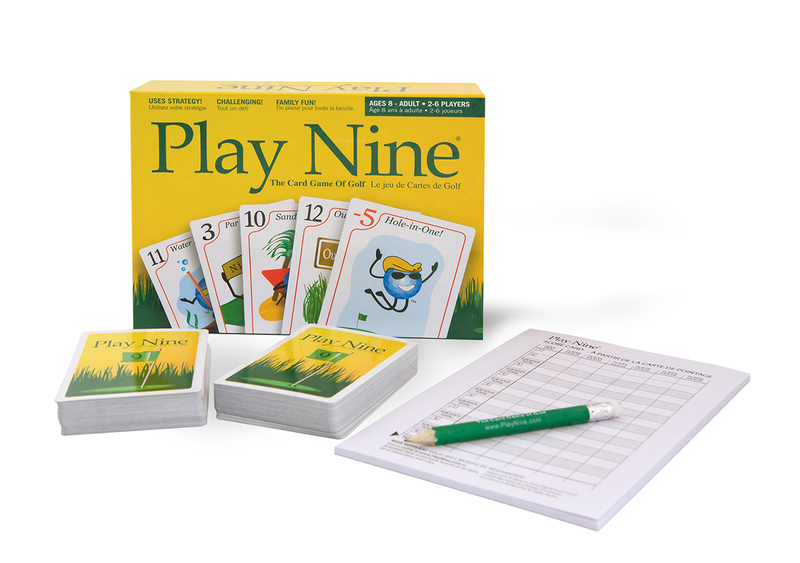 Play Nine ($14.99) family card game combines strategy and luck-of-the-draw down to the last hole, just like on the golf greens. Continuum’s website offers a wide catalog of Family Game Night options to give or receive! Stocking stuffers are easy to fill with affordable (and amusing) games like Lumps, The Coal Dice Game ($7.99). Spread good cheer with a sit-down game of Jishaku ($19.99) magnet game and Kwizniac ($19.99) trivia game. Educational games are always a best bet when giving to nieces and nephews on that holiday list. Word Q ($12.99) is a perfect choice. It’s best described as a jumbled crossword brainteaser! The challenges are a cool mix of a word game, a crossword puzzle, and a brainteaser all in one! 40 great puzzles allow for varying difficulty. Other educational games on the tip of Continuum’s tongue include Exact Change, Perfect Timing and Verbal Volley – all priced nice at $9.99. Games with a theme like dinosaurs entice those that may be reticent to play. 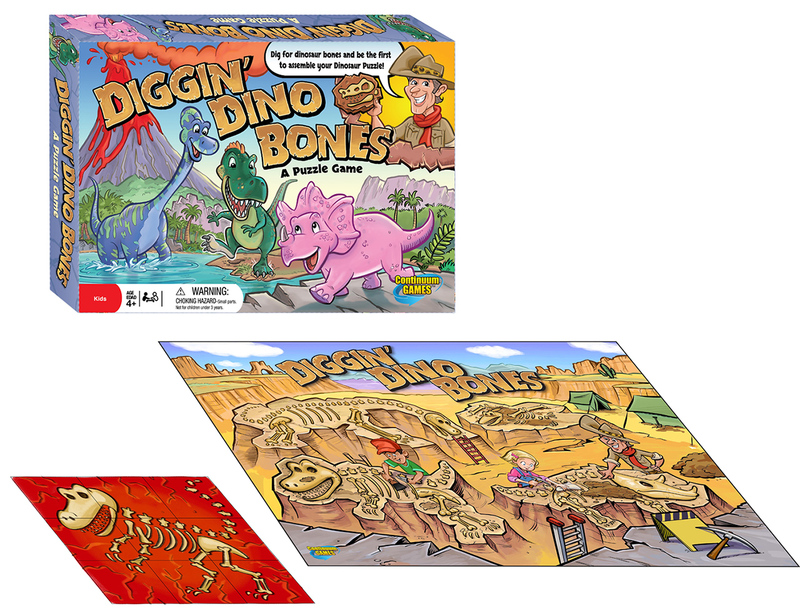 Continuum Games suggests Diggin’ Dino Bones ($16). Preschoolers, with their parents, can go on an excavation without the expense of an airline ticket or fancy shovels! Diggin’ Dino Bones is a puzzle game that will have everyone digging for bones and assembling the skeleton of a popular dinosaur. Continue the dino-mite theme with Dino Duel™ T-Rex & Stegosaurus and Dino Duel™ Spinosaurus & Velociraptor, both priced nice at $12.99. Consider splurging with the Dinosaur Iridescent 5 Dinosaur Gift Set at just $24.99. If dinosaurs and card games still don’t match your holiday wish list, go for a hands-on favorite – a craft kit! Linkt™ jewelry kits are two gifts in one, the joy of creating and the final necklace or bracelet or earring! This is the first ever chainmaille kit for tweens based on the historic art of chainmaille, used by knights and kings as protection and adornment, re-invented for wearing today by artist Rebeca Mojica! Choose from nine different kits — Linkt™ Craft Kit Hoops & Loops (20 Earring Collection), Linkt™ Craft Kit Bubble Loops (5 Necklace or Bracelet Set), Linkt™ Craft Kit Spinning Halos (5 Necklace+ Earrings Set) and many more! All kits are $19.99. Whether you own a set of clubs or just like pitch-and-putt, this golf-themed card game requires players to aim for the lowest score. Draw, flip and discard card values range from -5 (hole-in-one) to 12 (out of bounds). Ideal for 2 to 6 players. 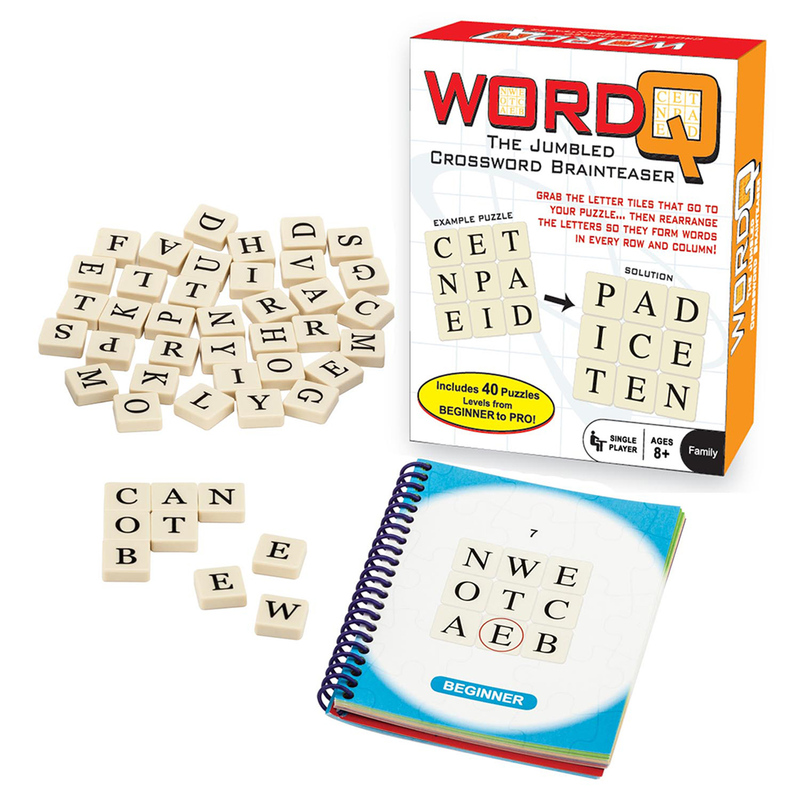 Choose a puzzle from the Word Q book and setup the letter tiles that are shown in the puzzle. Then, rearrange the letters in a grid-like configuration so they form words in every row and column. 40 puzzles in different difficulty levels from Beginner to Word Q-Pro offer a variety of challenges. You are a paleontologist commissioned to find the bones of a specific dinosaur. Search the excavation site and be the first to find and assemble your dino bone puzzle to win! Players get to choose from T-Rex, Triceratops, Brontosaurus, or Pterodactyl fossil cards. This game tests your memory skills and is extremely educational and keeps older minds sharp. It’s perfect if you’re trying to improve your thinking skills! 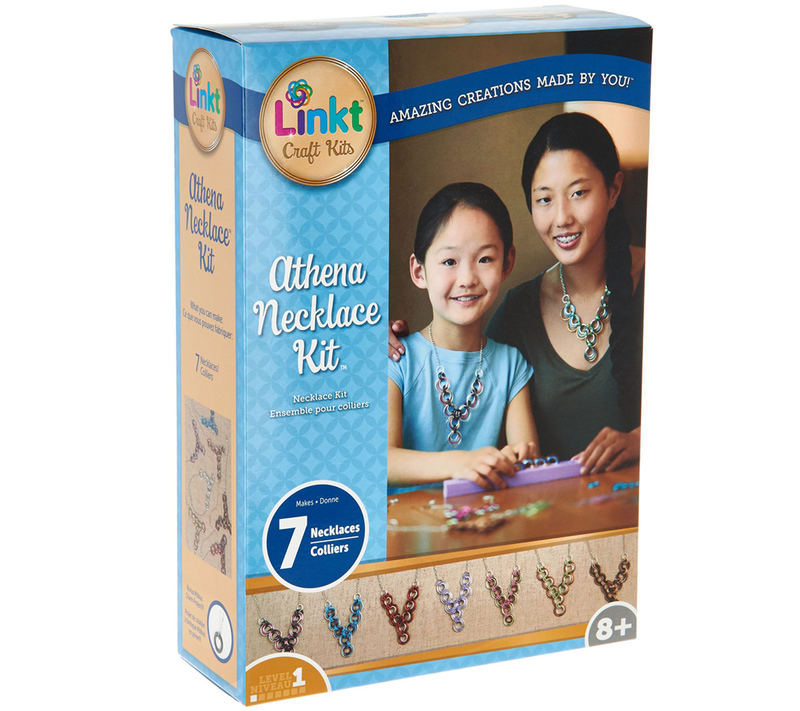 One of nine titles under the Linkt brand, these gorgeous jewelry kits are works of art, created by small hands! Winner of multiple awards including ASTRA Best Toys For Kids 2017 (Bubble Loops® by Linkt® Craft Kits), Oppenheim Toy Portfolio Gold Seal Award (Hoops & Loops by Linkt® Craft Kits), Oppenheim Toy Portfolio Gold Seal Award (Spinning Halos@ by Linkt® Craft Kits), Parent Approved by Today’s Parent Canada (Spinning Halos@ by Linkt® Craft Kits) and Top 5 Innovations of 2017- Association for Creative Industries (formerly Craft & Hobby Association). To keep up with what’s new in fun and games, join their email list at www.ContinuumGames.com or follow them on social media channels like Facebook.